The Toyota Motor Corporation has gained a reputation for constantly improving its models. 2017 is an especially exciting year, as we celebrate the 50th anniversary of the Toyota Corolla. Here at Toyota of Newnan, we believe in long-term relationships, and that’s why we’re proud to offer our Lifetime Limited Powertrain Warranty for all our vehicles, new and used. We’re eager to show you what Toyota has come up with for 2017 for all your favorite models. This year, Toyota is boosting the 2017 Toyota Highlander model’s performance and efficiency with a new direct-injected 3.5-liter V-6 and eight-speed automatic transmission. The Toyota Highlander models’s multimedia shelf gets two more USB ports up front and two in the backseat for a total of five USB ports inside the SUV. The top Limited and Limited Platinum trims now will offer a bench backseat, making seating for eight available. 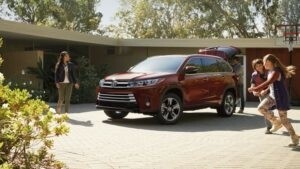 For safety, forward collision warning with automatic emergency braking is now standard, along with adaptive cruise control and lane departure warning with steering assist to guide the Toyota Highlander back into its lane when the camera- and radar-based system senses lane departure. Toyota Highlander XLE models gain blind spot monitoring standard, and an available camera system with four cameras creates a top-down bird’s-eye view for parking. This is a special year for the 2017 Toyota Corolla as it celebrates its 50th birthday with a 50th Anniversary edition featuring unique colors and interior trim. All trim levels get a tweaked grille and an upgraded interior with audio enhancements. Included are standard LED headlights, 17-inch alloy wheels with dark gray inserts, specific interior trim, a choice of three exclusive colors and unique exterior badges. In addition, Toyota’s Safety Sense-P package is now available on all trim levels; it bundles radar adaptive cruise control, lane departure alert with steering assist and a collision prevention system with automatic emergency braking and pedestrian detection. Toyota has upped the 2017 Toyota RAV4 model’s safety features game for 2017 by adding pre-collision braking, lane departure warning with steering assist, and adaptive cruise control as standard on all models while keeping the corresponding price increases modest. Among other changes, a new Platinum model joins the gas-powered Toyota RAV4 lineup with standard equipment that includes a premium audio system with navigation, heated steering wheel, motion-activated power liftgate, and a bird’s-eye-view camera for parking. 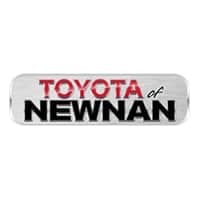 Our skilled sales staff at Toyota of Newnan are experts at finding the Toyota that’s right for you. Come visit us at our 2 Herring Road location in Newnan, GA – 35 miles southwest of Atlanta – where we can set you up for a test drive of our new Toyota models and answer any questions you might have.